It’s not easy being gay in Singapore, but there is a whole bunch of people working towards making this country a more open-minded and harmonious home for all Singaporeans. This is the first in a series of profiles of local LGBT organisations. We talk to the everyday heroes who make Singapore a better place person by person, day after day. These groups will also have a booth (or a picnic mat) at Pink Dot 2011, so come by and say hi! Who they are: A counselling and social service group for lesbian, gay, bisexual, transgendered and curious individuals. What they do: Counselling services and support group events, which are run by a pool of volunteers and volunteer counsellors. They have 60 volunteers, 12 who are counsellors and 4 full-time staff. When was it set up: 1999 by Jason Wee, Steve Wong and Kenneth Lau. 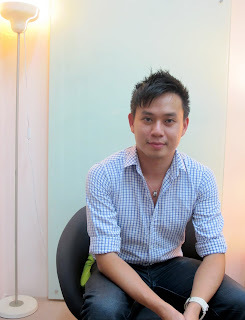 Singapore’s only LGBT organisation that offers counselling services as well as over the phone and email, Oogachaga is also known for its support groups that hold weekly activities, such as the Mature Men Project. They have launched an annual guide What’s Out There, a resource list for lesbian, gay, transgendered, bisexual and curious people in Singapore. Pink Dot chats with Oogachaga centre manager Bryan Choong, 34, on why he gave up his cushy career as an airforce specialist to go into social service. When did you first get involved with Oogachaga? Since I was 24, I’ve always been involved in community service as a volunteer. But nothing beats being able to make a change within your own community. I first got involved in Oogachaga in 2005 when I joined their support group sessions, then was roped in as a volunteer, and helped out ever since. In June 2009, joined Oogachaga as a full-time staff. Why do you think support services are important? Our team of 12 counsellors held about 230 counselling sessions last year with 80 clients. Our hotline, which is open on Tues to Thurs and Saturdays, held 400 chats. Demand is strong. Our rates are competitive as well, about $40 per session and $60 per couple per session. I think that Oogachaga offers a space for people who don’t like to club but like being social. Our events are about building friendships in a non-clubbing scene and in a non-sexual environment. A lot of what we talk about are issues close to ourselves, e.g. coming out to family, friends, sexual health and the community. What’s in the future of Oogachaga? Our aim is to be recognised as a leading social service agency that is catered for the LGBT community, as well as a training institute for people to learn about sexuality. We also want to reach out to more Singaporeans as well as to talk to social service centres and engage them in dealing with LGBT issues. Is it hard getting the cooperation of social service centres? Not at all. A lot of this is based on fear. The people we work with from social service centres are not homophobic, it’s a misconception. 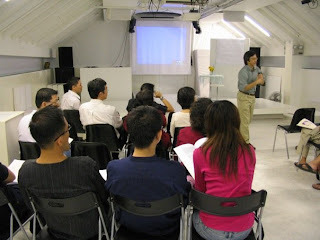 Last year, we spoke to more than 50 social service professionals in Singapore. What are you wearing to Pink Dot this year? Pink! I’ll also be wearing an Oogachaga signboard so you can recognise us easily.